We are temporarily out of stock. Please enter your email below and we would be glad to notify you once we have stock. The PATH rod is a smooth-casting, MEDIUM-fast action graphite fly rod, offering classic performance for all levels of anglers. 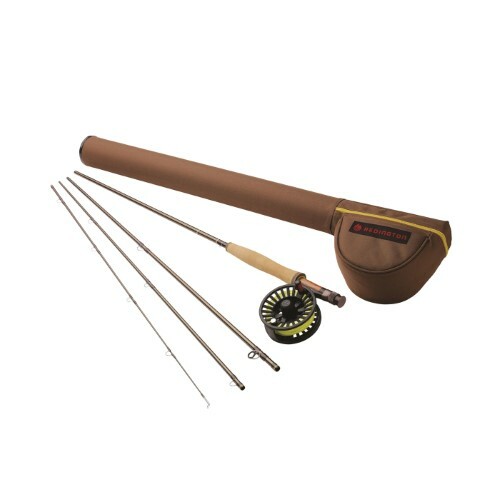 Rods through 6 weight have a half-wells handle with a wood reel seat for a classic look and feel, and 7 weights and above feature a full-wells grip with anodized aluminum reel seat that is ready for salt or fresh water conditions. About the manufacturer: Far Bank is an integrated manufacturer and distributor of fly fishing products, including fishing rods, fly reels, fly lines, leaders, tippets and performance outdoor apparel. Search Amazon for a complete list of Redington, Rio, and Sage products to outfit your favorite fly fisher.